Updates to the main article are provided at the end. Please scroll down for the latest results and team standings in the run up to the IFSC World Cup in Navi Mumbai. Before us was a street of baked earth. To its either side were rows of warehouses. In one, a big pedestal fan hummed, blowing a cool breeze to counter the afternoon heat. The floor and sides were stacked with plywood acquired for the task at hand. Drills, electric saws and tool boxes lay ready for use. Abhijit Burman (Bong), his shirt gathering sweat despite the fan in the corner, poured over diagrams and waited impatiently for his Man Friday from competitions past, to appear. He did – walking in at a measured pace, his face, intense and expressionless yet just a muscle twitch away from breaking into a smile at old team getting together. 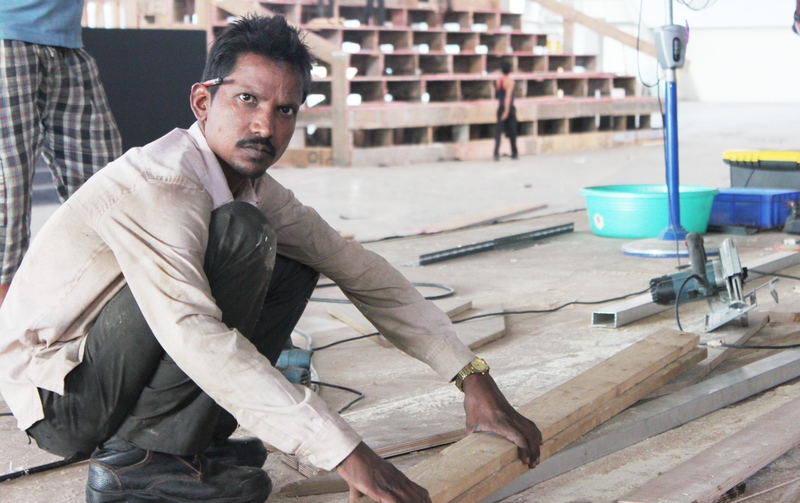 There was Bong, there was Raju the carpenter – a duo that has built several walls over a decade of climbing competitions at Girivihar – and by the side of the room, the first set of steel frames for the biggest climbing wall they have worked on so far. The detailed drawings of this wall had been approved by the International Federation of Sport Climbing (IFSC). 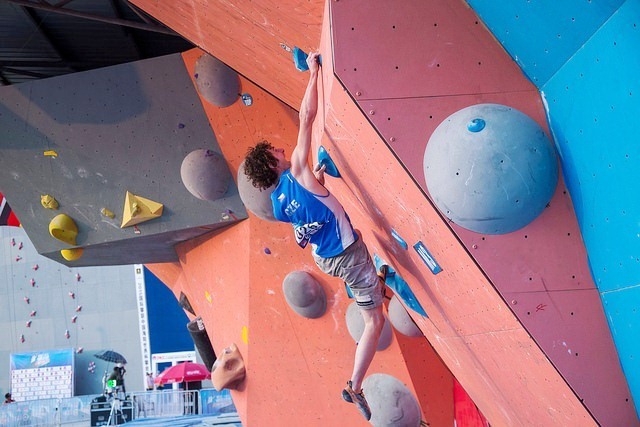 The wall, built locally to IFSC specifications, will host the qualifying rounds of the IFSC World Cup due this May 14th and 15th in Navi Mumbai. The semi-finals and finals would be on imported walls. After it is fully fabricated, the locally built wall would be transported as modules to Vashi, the venue of the World Cup and put together at site. The warehouse was in a far corner of Navi Mumbai and suddenly, the atmosphere of design, drawings, the sound of metal and machinery, animated conversation about wall, and Raju, reminded of Girivihar and mountaineering. Climbers focus best, when there is a challenge. You sensed challenge in the warehouse, you sensed focus. Less than a month remained for the first World Cup in climbing to grace Indian shores. It was in mid-2015 that a team of climbers from the Mumbai based mountaineering club Girivihar visited Munich to get a ringside view of a World Cup competition held under the aegis of IFSC. The team was in the German city because just a few months before, the IFSC had granted its approval for a World Cup in Navi Mumbai to be hosted by its official representative from India, the Indian Mountaineering Foundation (IMF), and organized by Girivihar. The World Cup is a series of competitions held annually worldwide, attended by some of the best international climbers. It showcases cutting edge climbing. The Indian pitch was for a World Cup in bouldering. 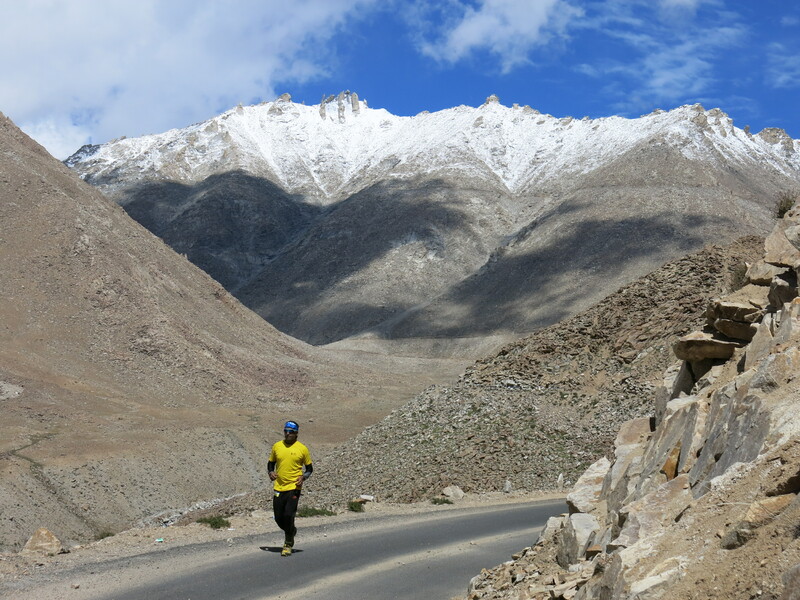 In India, mountaineering zipped to early prominence. A lifestyle sport, free by nature, rock climbing awaited the right generation, age group, maybe even apt juncture in economic development, to take off. The IMF diligently held its own annual climbing competitions (six zonal competitions dovetailing into a national final, every year) to select the Indian sport climbing team, conducted workshops and did what it could to promote the sport. Sport climbing is growing. But in huge country of 1.3 billion people, it is very small; a far cry from cricket, which almost shapes national imagination. What the Girivihar team saw in Munich amazed them. The retail awareness about climbing stunned. The venue hadn’t been advertised a great deal, nor was there any big buzz surrounding the event. Yet anyone who was interested in climbing was there. “ It was wonderful to see the level of awareness about climbing they had,’’ one of the team members said. The observation wasn’t without reason. Back in India the team members climbed at the crags of Belapur in Navi Mumbai. The crags are located on the edge of Mumbai-Navi Mumbai, its existence threatened daily by the relentless push of urbanization. On the other hand, for 11 years in a row, Girivihar had successfully conducted an open climbing competition, originally on natural rock at the Belapur crags, slowly gravitating to bouldering on artificial walls. 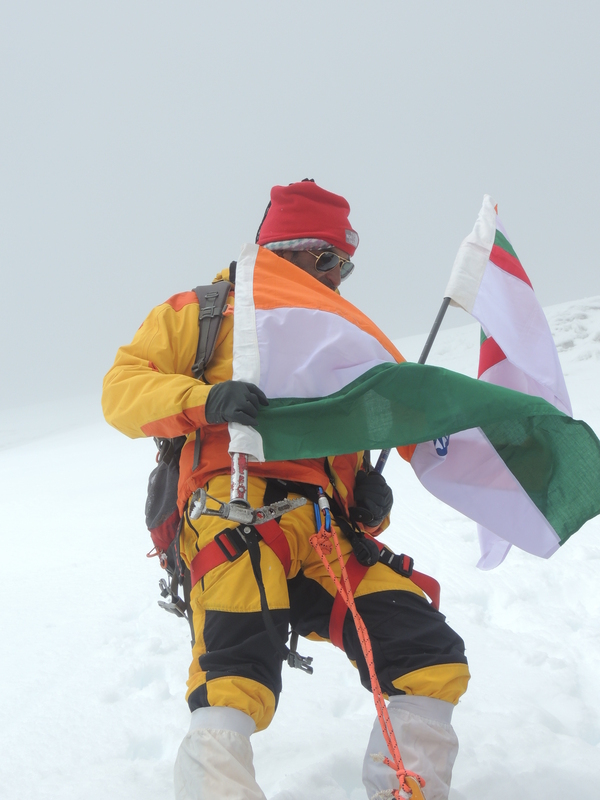 At its peak, the annual event had attracted 192 climbers from all over India. A few thoughts emerged behind the scenes, as this competition series progressed. First, there was definitely expertise accumulating with Girivihar to organize climbing competitions. If the IMF helped, projects could be more ambitious. 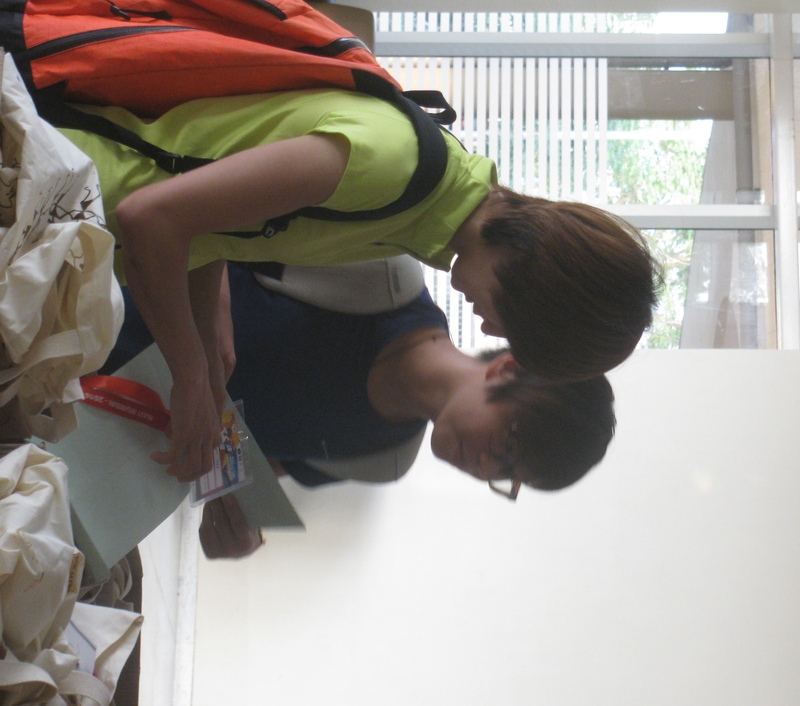 Second, the annual competition was encouraging bouldering and sport climbing. It has seen climbers from 11 foreign countries participate so far. The competition typically concluded in a rock trip by visiting climbers and locals, to an Indian climbing hotspot like Hampi or Badami. This interaction encouraged Indians to improve their climbing skills like an adjunct to what the IMF was already doing. Third, the competition was popularizing the sport; taking it to a larger audience. This was critical for continued climbing in the Mumbai-Navi Mumbai region because with crags under pressure, the future had to be either greater public empathy for the sport resulting in better preservation of the climbing crags or the empathy manifesting as more artificial climbing walls in the region. Climbing’s priorities survive in society, if climbing is active and visible. Fourth, every time Girivihar organized a competition it had to search for adequately certified judges, for in India’s small world of climbing, the talent pool to judge was also commensurately small. It was a case of small ecosystem begging to be nudged bigger; put one’s shoulder to what the IMF was already doing. The trends pointed to a possibility: why not try and organize something big like a World Cup? If the sport grows as a result, it benefits all who love it. The idea was good but the club needed to wait for the right time. They had to be at a point where the climbing competence you see at a World Cup won’t be drastically beyond what you see in Indian climbing. There was the need for relevant connect. Climbing – lead climbing, speed climbing and bouldering – is set to debut at the Asian Games of 2018. When the Rio Olympic Games happens, the International Olympic Committee is expected to take a call on what new games should take to the field at the Tokyo Olympics of 2020. The short list at hand includes climbing. While that is the future, at the 2015 Asian Youth Championships, Indian climbers secured four podium finishes. That’s a measure of the rising talent among young Indian climbers. Appearing on the scene in India were also youngsters gate-crashing into the truly high grades of rock climbing in Hampi and Badami (for more, please see the Ganesha series of articles on this blog), not to mention those seeking to make a career as professional climber. The inflection point the Girivihar team was looking for, seemed reached in 2014-2015. The club wrote to IMF. India’s apex body in climbing responded positively. In league with the IMF, a pitch was made to bring the World Cup to India. First half of 2015, the IFSC approvals came through. The organizing team found itself in Munich, getting acquainted with how a World Cup is organized so that they can replicate the finesse and efficiency in Navi Mumbai. Once back in Mumbai, tasks were identified and teams formed. 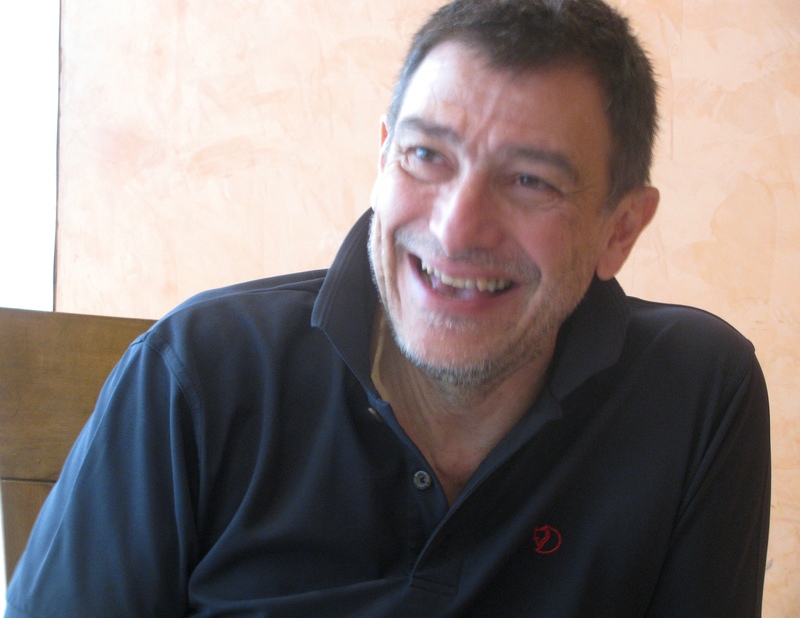 Veteran climber, Franco Linhares, led the team overall; Bong became Event Organizer and Vaibhav Mehta, Sports Manager. Behind the scenes, an important role in terms of managing the World Cup campaign was essayed by Kiran Khalap, a senior professional in advertising and marketing who is also a climber. By club standards, the project was capital intensive. The local Navi Mumbai administration responded well to the project’s needs. CIDCO, the agency which planned and built Navi Mumbai provided the city’s Exhibition Centre near the Vashi railway station, as venue for the World Cup. The big challenge for the organizers was funds and sponsors. Worldwide, in 2015, an estimated 35 million people were into sport climbing. Of that, 50 per cent are under 25 years of age, according to the IFSC website. In India too, climbing has a young following. In principle, this matrix should attract sponsors. Over the last couple of years, amid bleak economic conditions worldwide, the Indian economy had remained one of the bright spots. However that did not mean companies were in a mood to splurge. Two challenges dominated. First, climbing is still a small, growing sport in India. It is far from being a popular sport that immediately grabs sponsors’ attention. Second, given climbing’s profile in India, the easiest candidates to be sponsors may have been medium sized businesses. During dicey economic times, this segment prefers to keep investments relevant to core business. All the same, the organizers did find potential sponsors; they also did a round of crowd funding. Preparations for the World Cup progressed. Cost cutting options were thought of. Building the wall for the qualifying round, locally, was one. The IFSC supported the move. 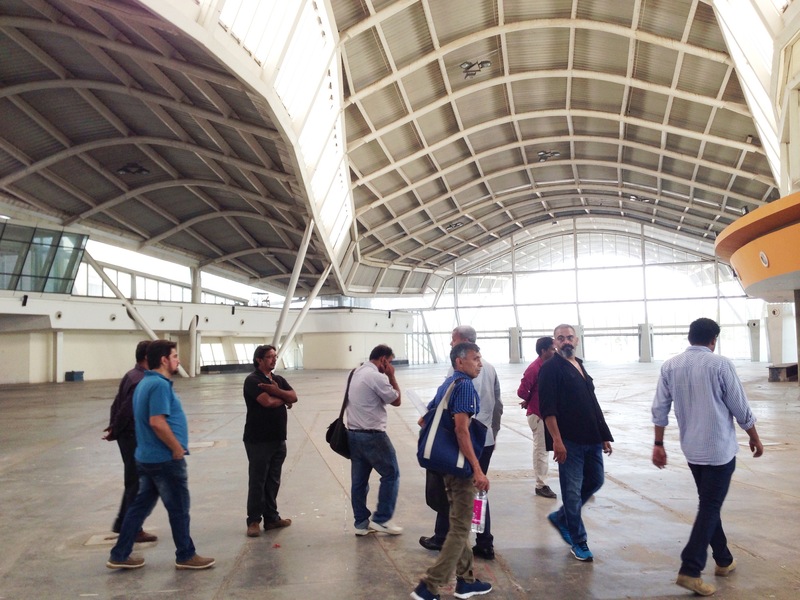 In April third week, when Fabrizio Minnino, Jury President, IFSC, visited Navi Mumbai to meet the organizers and check out the venue, he paid a visit to the warehouse to see the wall’s fabrication as well. 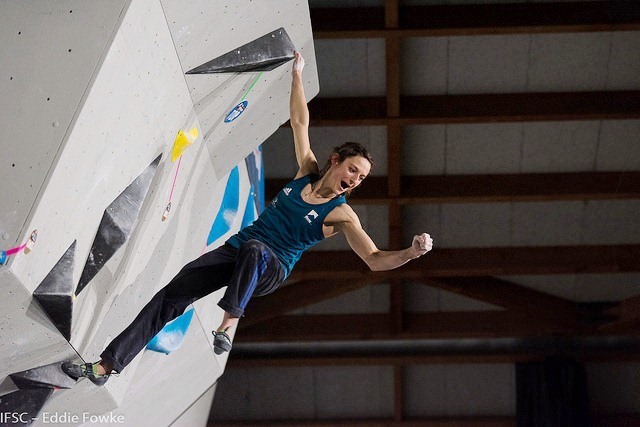 The World Cup in climbing is quite similar to Formula One in that there are several World Cup events in a year at different venues worldwide with climbers picking up points as the season progresses and an overall winner declared at the end of it all. 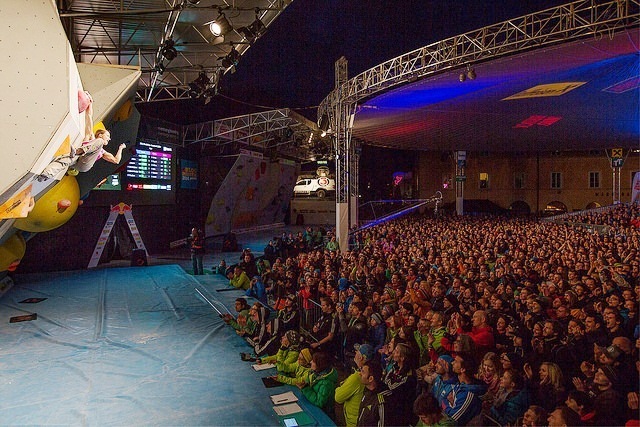 The 2016 World Cup season in bouldering kicked off on April 15 in Meiringen, Switzerland. As of April 21, thirty six competition climbers – some of them, the world’s best – had registered to participate in the Navi Mumbai edition of the World Cup. 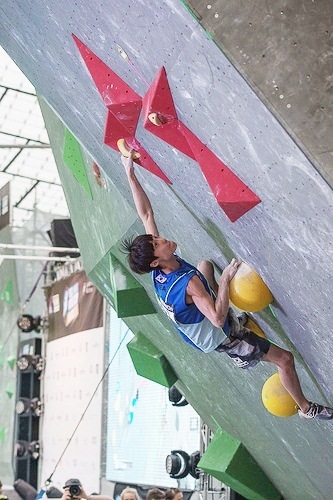 Present in the list were the 2015 men’s champion in bouldering, Jongwon Chon of Korea, the leader (just after Meiringen) in the men’s segment from the 2016 season of the World Cup, Alexey Rubtsov of Russia and the leader (again, just after Meiringen) from the women’s section, Shauna Coxsey of Great Britain. Countries represented included Austria, UK, Iran, Russia, USA, Korea, Slovakia and Taiwan. 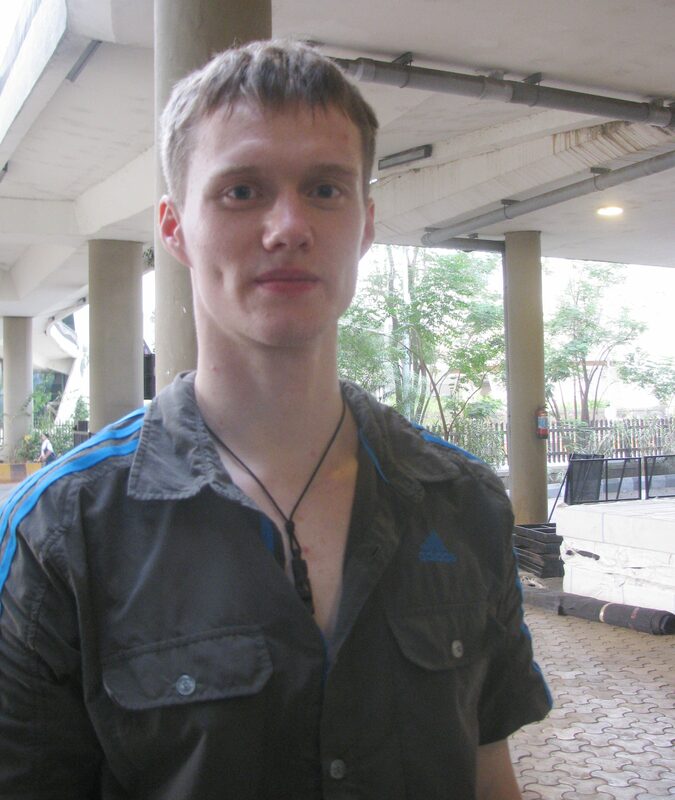 Also enrolled were the likes of Sean McColl (Canada), Rustam Gelmanov and Dmitrii Sharafutdinov ( both Russia). After Meiringen, the 2016 World Cup season in bouldering travels to Kazo in Japan and Chongquin in China. Then in mid-May, it reaches Navi Mumbai. Brig. M.P. Yadav, Chairman, Sport Climbing, West Zone has been coordinating efforts on behalf of the IMF. As host country, India is automatically offered reserved participation slots for its athletes. It is understood that an Indian contingent comprising 16 promising Indian climbers have been shortlisted for a training camp ahead of the May World Cup. Those selected include some of the best young Indian climbers like Aziz Shaikh, Vicky Bhalerao, Tuhin Satarkar, Irfan Shaikh, Sandeep Maity, Kumar Gaurav, Somnath Shinde, Mayuri Deshmukh, Nehaa Prakash, Smriti Singh, Dhanushri and Sidhi Manirekar. In Navi Mumbai, the countdown has begun for a rendezvous with climbing’s best in May 2016, the scheduled time for India’s first IFSC World Cup. 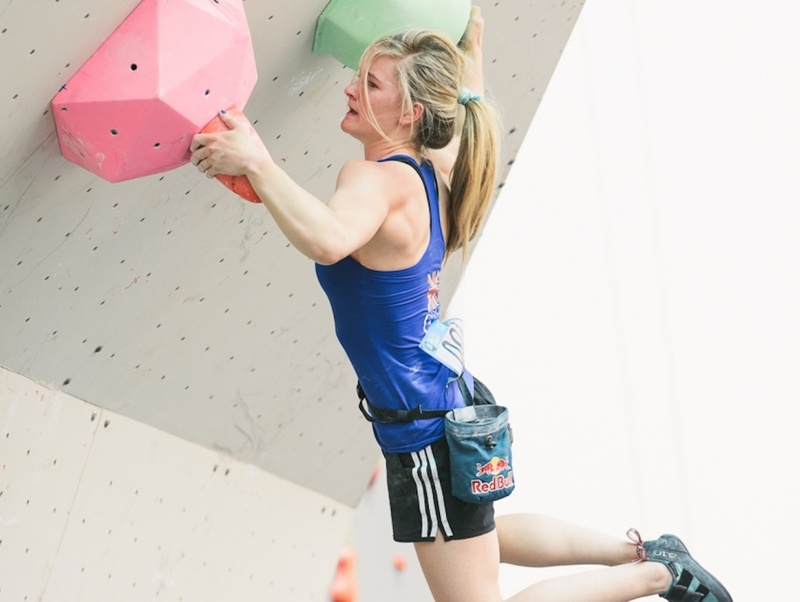 Update: Shauna Coxsey consolidated her lead in the women’s segment while the see-saw battle for leadership among men continued, in the run up to the Navi Mumbai World Cup in bouldering. 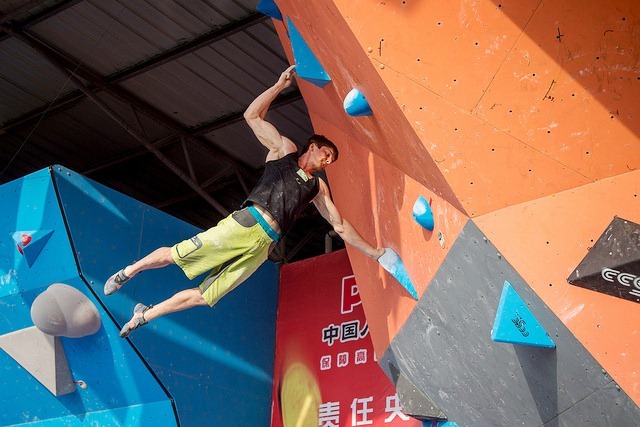 By late evening May 1, results in bouldering from the World Cup competition at Chongqing, China, became available. The men’s section was won by Tomoa Narasaki of Japan. Jan Hojer of Germany placed second while Jongwon Chon of Korea came third. The women’s section was topped by Shauna Coxsey of Great Britain followed by Akiyo Noguchi of Japan and Miho Nonaka of Japan. 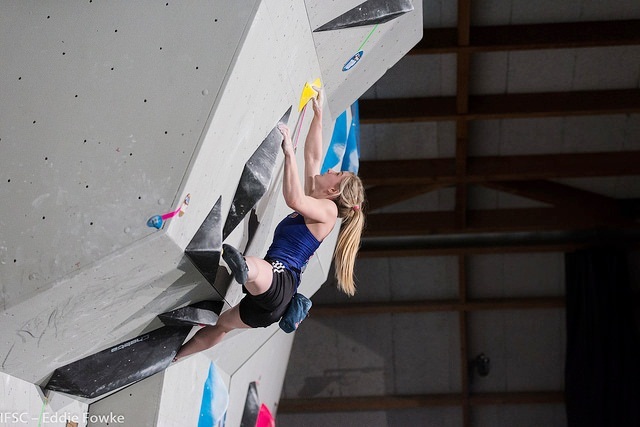 For Shauna Coxsey, this was her fourth consecutive triumph at a World Cup bouldering competition; the previous woman to do so was Akiyo Noguchi in 2014. Of six places on the podium across both men’s and women’s sections at Chongqing, the Japanese secured four. Of the six climbers named above, all have already registered to participate in the upcoming World Cup in Navi Mumbai. In terms of national team ranking, Japan topped at Chongqing followed by France and Great Britain. Post Chongqing, the leaders in the men’s segment in the 2016 World Cup series in bouldering are Alexey Rubtsov ( Russia / 177), Rustam Gelmanov (Russia / 165) and Kokoro Fujii (Japan / 155) in that order. The leaders in the women’s segment are Shauna Coxsey (Great Britain / 300), Melissa Le Neve (France / 203) and Miho Nonaka (Japan / 154). In terms of national teams, the leaders were France (536), Great Britain (438) and Japan (412) in that order. 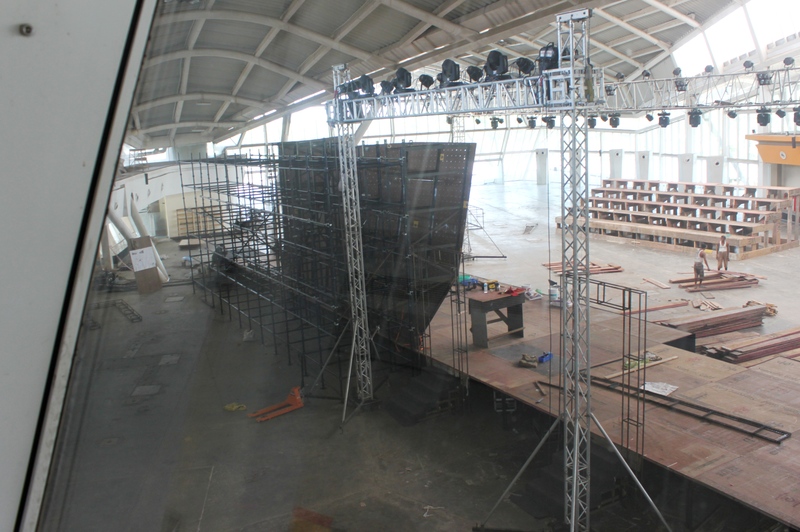 The next halt for the World Cup in bouldering is Navi Mumbai, where the competition is scheduled for May 14-15. As of May 9, the number of athletes registered to participate in the Navi Mumbai edition of the World Cup, stood at 83 with India sending in a 17 member-team. Countries represented at the event were Austria, Canada, Czech Republic, France, Great Britain, Germany, India, Iran, Japan, Korea, Lithuania, Netherlands, Nepal, Russia, Singapore, Slovenia, Slovakia, Taiwan and USA. A couple of days before the Indian team registered, a four member-team from Germany had signed up. Among those in the team was Jan Hojer. A day before the Germans, the French had enrolled; their team included Melissa Le Neve and Fanny Gibert. Early morning April 26th, the number of athletes registered for the World Cup in Navi Mumbai was found to have increased from 36 to 50, thanks to the entry of a 14 member strong-Japanese contingent. 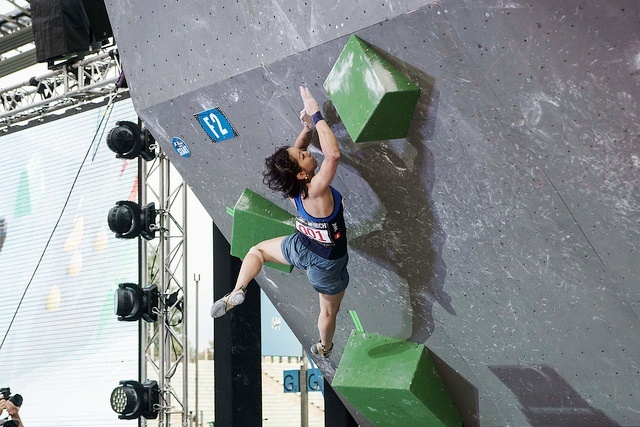 It included Akiyo Noguchi, the defending women’s champion from the World Cup bouldering series of 2015 and Kokoro Fujii, who was third in overall ranking among men after the Kazo edition of the World Cup. Akiyo Noguchi is one of the most successful competition climbers from the women’s category. 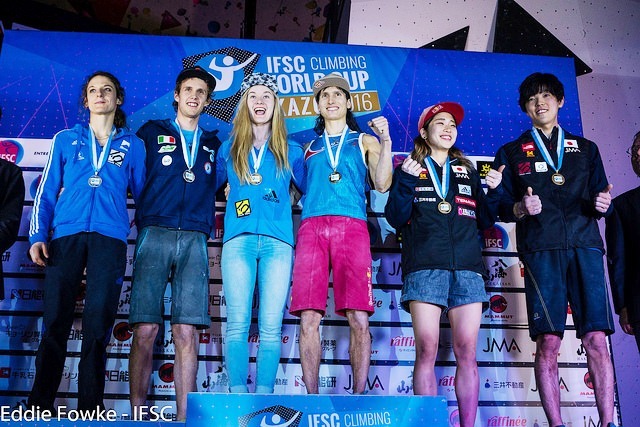 At the Kazo World Cup in bouldering held over April 23-24, Rustam Gelmanov and Shauna Coxsey topped in their respective categories. The results, top three, were: Men – Rustam Gelmanov (Russia), Michael Piccolruaz (Italy) and Kokoro Fujii (Japan); Women – Shauna Coxsey (Great Britain), Melissa Le Neve (France) and Miho Nonaka (Japan). Post Kazo, the leader rankings in the 2016 series were Rustam Gelmanov (Russia / 128 points), Alexey Rubtsov (Russia / 126) and Kokoro Fujii (Japan / 100) in men’s, while in women’s it was Shauna Coxsey (Great Britain / 200 points), Melissa Le Neve (France / 160) and Fanny Gilbert (France / 94). Meanwhile in a separate development, Tata Trusts have provided a financial grant as support to the Navi Mumbai World Cup. The Tata Trusts are among India’s oldest, non-sectarian philanthropic organizations. They own two thirds of the stock holding of Tata Sons, the apex company of the Tata group of companies. The Tata group is India’s biggest industrial conglomerate and from the perspective of the World Cup, a name that has in the past, supported mountaineering and climbing in India. The first successful expedition to Everest from the state of Maharashtra (where Navi Mumbai is) was supported by Tata. 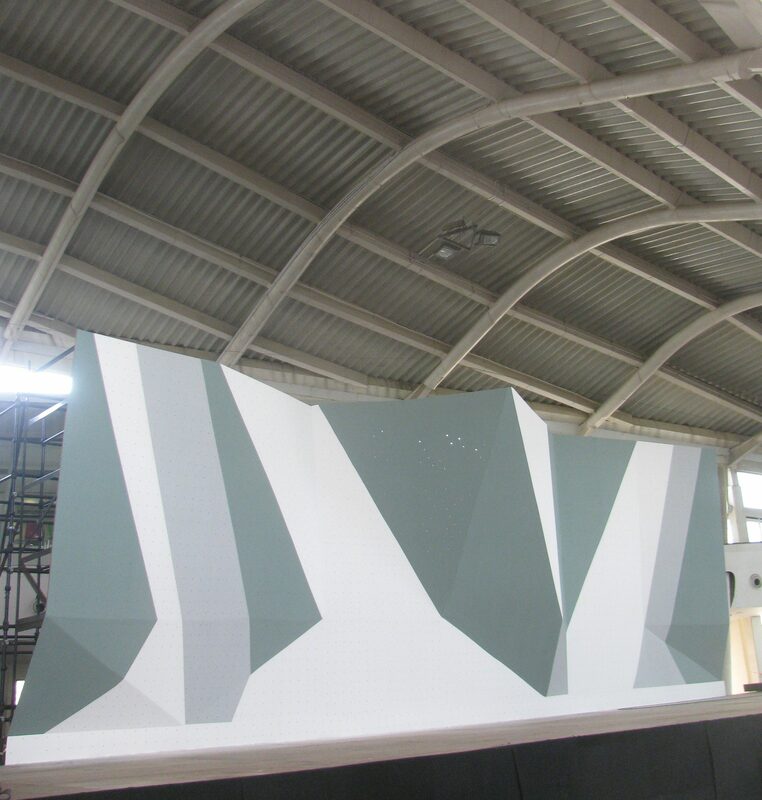 As of May 8, the locally fabricated climbing wall, earlier taking shape at the warehouse in Taloja, had been installed at the venue in Vashi, painted and ready for the route setters to commence their work. A team of four route setters from IFSC have arrived for the job. 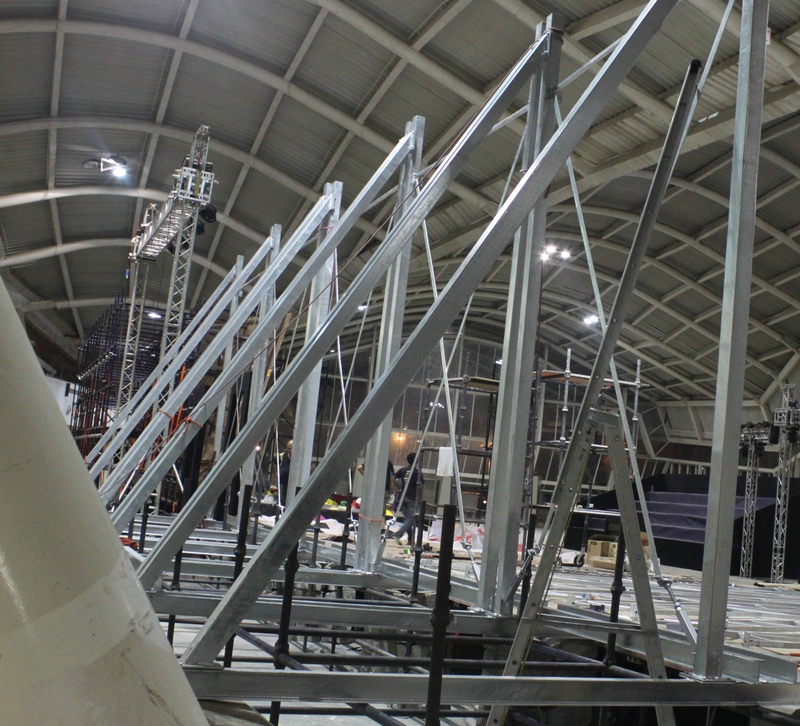 By May 9, work on assembling and installing the second wall – an imported one – was well underway. Access to the walls is restricted when the route setters are at work. Now that you have visited the venue of the upcoming World Cup, what are your impressions? The first positive thing I felt was the friendliness of everybody around and their desire to organize something that would be known all over the world. Second, the venue was really impressive. I had seen some pictures of it but I didn’t know that it would be this good. For a world class competition in India, the jury has to come from abroad. That entails cost, adding to the cost of a project like the Navi Mumbai World Cup. What should India do to have an adequate number of qualified judges in climbing here itself; what can the IFSC do to help in this regard? We must start from the fact that a good judge is an experienced judge. If it was enough that you organize a course and qualify it would be very easy. But the problem is that if you attend a course, qualify and then, you don’t take part in competitions, it is very difficult to be a good judge. The starting point therefore is to have many competitions to judge. This cannot be done by the IFSC. What the IFSC can do is provide support for relevant courses and tutorship. But the competitions have to come up here in India or elsewhere in Asia. So, there has to be a momentum of competitions going on…. You are President of the Jury. What are the challenges you face in the context of today’s climbing competitions? I would say that compared to 20 years ago, it is a lot easier to be President of the Jury at a World Cup. One reason for this is that organizers have the ability now to check out what has already happened. 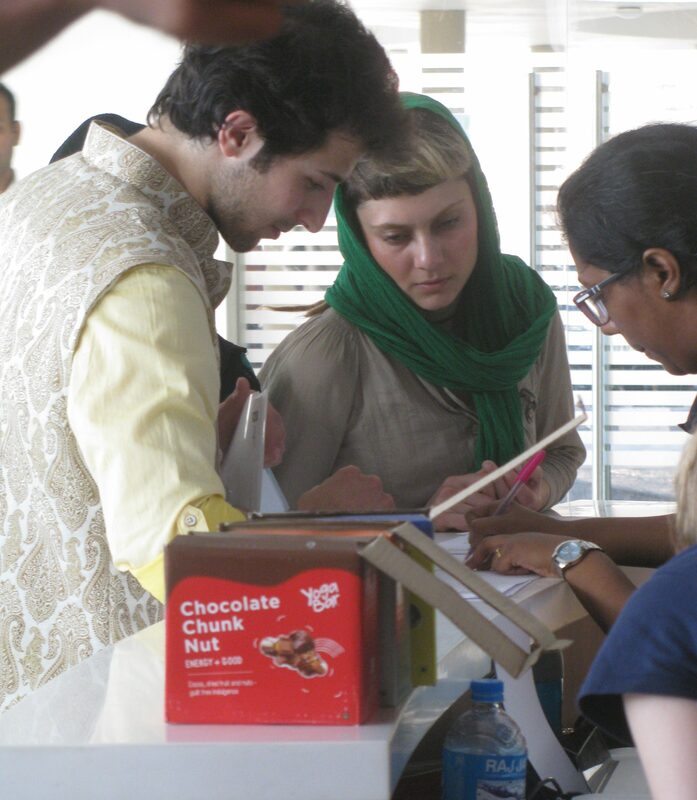 The organizing team for the Navi Mumbai edition, had for instance, visited the Munich World Cup. One of its nodal members, Abhijit Burman (Bong), has seen the proceedings at Arco; he has also been to Fredrikshavn. When you have seen others do something, you can do the same. You have your benchmark and your reference. I remember that some of the earlier competitions were difficult because the organizers couldn’t understand what they were expected to do and so the work of the Jury President was sort of double work – you had to play the role of both judge and organizer. I am quite sure that we wouldn’t have to do that here. We would be only judging. At an international level, the most interesting challenge today is the act of taking the World Cup competitions all over the world. As yet, we have never held a competition in Africa and the number of competitions in Asia is slowly going up. The challenge going ahead is to move away from the sport’s European roots and be present all over the world. Being at the Olympics – as we hope to by 2020 – will provide the sport the visibility required to make this transition. Awareness of climbing is still not high in Asia and Africa, which are the locations of interest to the sport, going ahead. Do you think this may see the IFSC engage in more familiarization programmes for the sport in these geographies? It could be. We will have to discuss it with local federations. If there is a genuine desire to have a larger family for the sport or get the sport better recognition, we can provide the support but the organizing would have to be local. Judging in various sports is getting increasingly technical. What is the experience in climbing – is it becoming more technology? Technology can help you but the main point is – you have to have common sense. If you don’t have that, you can’t be a good judge. Also, at competitions, there are two roles involved – there is the judge and there is the route setter. 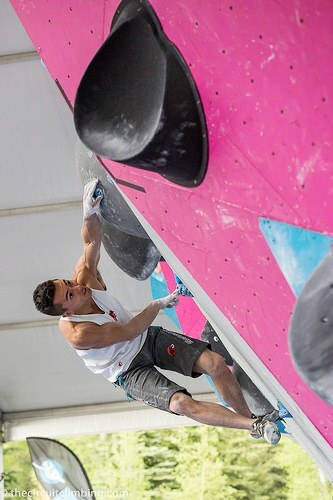 Technology cannot be of much help for the route setter because that art is based on an understanding of how the body moves while engaged in climbing. 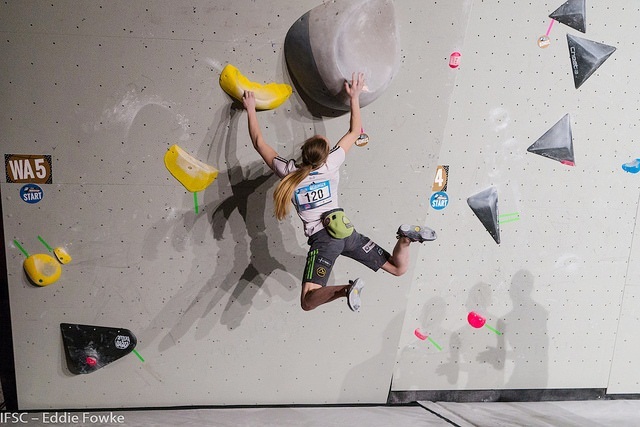 Are climbing competitions becoming more and more intense and competitive? In the beginning we had only lead and speed competitions. Then bouldering arrived; it is completely different from lead. Speed, lead and bouldering are different from each other. The challenge is to go in one direction, where the best athlete is the best athlete in all the three disciplines. So we are now discussing the Olympic format and the Olympic format is to award the really best climber in all the three disciplines. This is the challenge for the coming years. What impact will the Olympics have on the sport? It will have enormous impact. A lot more people will get to know about the sport. Getting into the Olympics has been a 20 year-old dream. Does entering the orbit of the Olympics set any expectations in terms of improving the quality of judging you do? Would you be required to be more exact for instance? I don’t think so. We are quite professional. How important is it for a judge of climbing to be also an active climber? For me, it is important because you must have a feeling of the body movement involved. For me it is very important. This article presents a view; it is not the only perspective possible. It was a hot summer afternoon and I had just ordered a dosa for lunch at Thiruvananthapuram’s Arul Jyothi restaurant. Three people – a woman and two men – still engrossed in discussion, got up to leave at the next table, their exit a matter of slow progression punctuated by each twist in the conversation. The subject was a fireworks explosion that happened at a temple 50kms away, less than 36 hours earlier. Over 110 people died, several hundred were admitted to various hospitals with injuries. To recap – the temple management was denied permission to conduct a competitive fireworks display. While district authorities said it was blanket denial of permission, according to versions in the media, the attribute ` competitive,’ was interpreted as key to permission denied. The management went ahead with the display as a non-competitive affair. Discreetly however, it had all the ingredients of competition and investigations after the tragedy exposed the use of banned chemicals and more stocks of explosives in the neighbourhood. The whole affair was an exercise in illegality. Watching the packed explosives on TV, I couldn’t associate any of that with civilian festivals. Their size and dimension reminded of medieval war. In the immediate aftermath of the April 10 accident, a judge moved the High Court seeking an end to such firework displays. None of the politicians shown on TV could bring themselves to ban fireworks. With elections imminent, the Chief Minister said: we have called for an all party meeting on the matter. The Paravur incident was merely the worst in a list of fireworks related accidents in the state. Fireworks and elephants are deemed essential for festivals in Kerala. A narrow, long state between hills and sea, Kerala has one of the highest population densities in India. At the same time that a bunch of people died for nothing in Paravur, a train carrying water was heading to Marathwada in Maharashtra, where successive droughts had left people thirsty and cast their lives in difficulty. There is no such debilitating water shortage in Kerala. For sure, the state’s summers are getting hotter. This April, Thiruvananthapuram was unbearably hot and humid. But there was nothing in Kerala similar to what I read before I left Mumbai: a Maharashtra with only 25 per cent water; Marathwada with just five per cent. Every time I am in Kerala, I travel by road to get an idea of what’s going on. The dominant motifs shaping my impression remained the same this year too – premium on well settled life, hoardings of brides clad in jewellery and couples getting married, hundreds of advertisements for businesses dealing in gold, apparel, building materials (to construct houses), mushrooming supermarkets and malls and rising garbage. It is a picture of life drawn overwhelmingly from well settled, consumerist existence. It is physically defined and possessions-based. After days of seeing big houses and hearing stories of success, I withdraw to my shell. My Kerala visits typically end so. Yet I keep going back, for the place shaped parts of my perspective. Some years ago, I got a call from a man in the foothills of the Himalaya, whose daughter was getting married to a “ Kutty from Kerala.’’ Concerned about the groom’s caste, he called me up. I said Kutty betrayed nothing relevant to what he wished to know; it is used affectionately and does not signify religion or caste. “ How can that be?’’ he shot back agitated. “ Well in the time I spent in Kerala, I have known Govindan Kutty, George Kutty and Ahmad Kutty,’’ I said. It left him totally confused. Indeed a Malayali approach perplexing others in India is the idea of the human being as just that without immediate focus on religion and caste as co-ordinates. This appetite for what you are as opposed to who you are, has I suspect, much to do with Socialist influence in Kerala. The discomfort others have with it has much to do with how little Socialism caught on elsewhere and how rapidly the idea of equitable life is shrinking today. I grew up in Kerala, in times dominated by Communism. They guarded their politics with the same zeal as the Right worships its gods and rituals. Back then, it was red flags and posters of Karl Marx, Lenin and Che Guevara. Like the muscular gods of today’s Right, art in service of Socialism was all about a muscular working class. Both are not art; it is propaganda. My father ran a small business. That was enough for us to be branded `bourgeois.’ Yet I have always felt that a touch of Socialism, which seeks equality, is essential to sensitize the Indian mind growing up on a diet of unquestioned prejudices and inherited privileges. In 1957, Kerala was home to the first democratically elected Communist government in the world. By 1982, Kerala settled into a pattern of two opposing political coalitions as choice for government. When people tired of red, they voted for the Congress. They were the moneyed lot, close to plantation and business lobbies, with a penchant for fishing in communal waters. Besides its erstwhile business bashing-doctrines, the Left in Kerala was stridently vernacular in flavour. Sometimes I think the Left in Kerala was Left in name but actually ethnic. In politics, that pays dividends. Now in addition to Communist paraphernalia in Kerala, you have posters of Hindu gods, mahotsavam, mahayajnam and saffron flags, not to mention the state’s share of the same in Islam’s green and Christianity’s business of a church. Each of these religions, account for approximately a third of the state’s population. They are mutually competitive. Each community takes pride in its political clout, share of millionaires, famous personalities, real estate, wealth etc. Much effort goes into keeping these communities as clearly etched silos. Privately, Malayalis knew that beneath the veneer of being progressive, a regressive Kerala existed. In as much as the Left and Right were similar in cadre-based structure and behaviour, their disagreement over religion made them foes. People elsewhere in India associate Kerala with matrilineal succession. They find it hard to believe patriarchy exists in the state. Patriarchy is a gender based-tendency, a zone of comfort. At the height of Communist rule, the neighbourhood party heads and functionaries kept an eye on life around; not at all different from what Right wing forces currently do. Just as today’s Right wing enforces a culture from centuries ago, those days, the Left worried over any thought process potentially questioning the Communist world. Making a fortress of one’s imagination and having an opinion on how others should be, has fancied anyone with enough drift to dominate. Having seen these tendencies in the Right and the Left, I view it as anthropology in action; you once read Desmond Morris, now you see it as documentary film. While cadre based-power was the language of the Left and the Right, the Congress let money speak. Whatever the route adopted, in the end everything was about fiefdom. Some of the huge marches in the state were called shakti prakadanam or display of strength. Over time, from weddings to festivals and political campaigns, nothing was deemed worthwhile without a display of one’s clout. A giant remittance economy, Kerala currently has a lot of young people of school and college going age and a large number of ageing citizens. 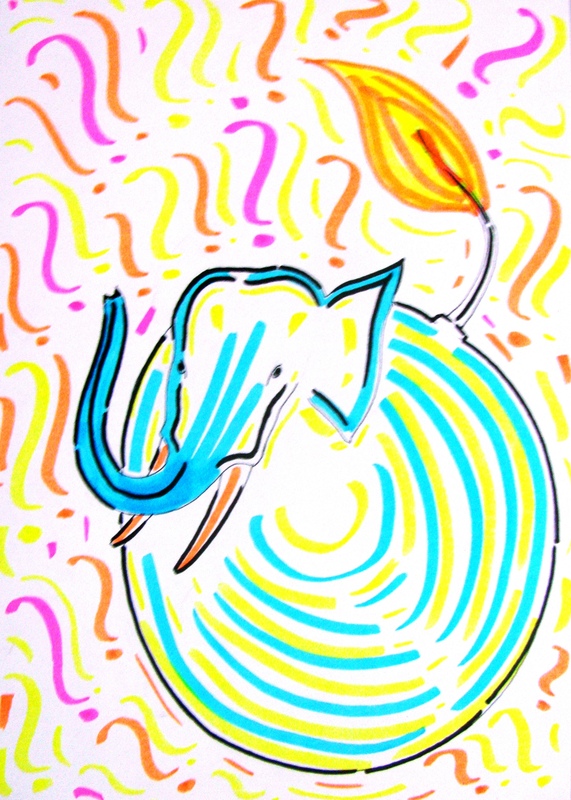 In the flux, thoughts and things resembling anchors – that proverbial “ settled’’ – are valued. On the threshold of refining tradition and proposing new thoughts, society repeatedly relapses to the old. In November 2015, courtesy a non resident Malayali businessman, Kollam (in which district, Paravur is) was host to one of the costliest weddings staged in India. News reports estimated the expense at Rs 55 crore (Rs 550 million or roughly $ 8.2 million). Indians living overseas see India as heritage. They also see it as proving ground; a venue to showcase their success. In one, a living country seeking evolution reduces to heritage museum offering identity to overseas sponsor. In the other, a regime of the moneyed displacing those not so, is encouraged. If the Japanese adapted their designing ability to a Tokyo increasingly short of space, the approach visible in Kerala is money laden offensive to secure scarce space for big houses, big cars; the mega life. Already stressed land, gets stressed further. Still, few would have it differently. If you extend this line of reasoning, it is not difficult to see how impressive having an elephant on a leash or staging massive explosions as fireworks is. Associating this with grandeur, it doesn’t mind irritated elephants running amok or losing over 110 lives to loud explosions while elsewhere in India, trains bring drinking water and school children in Mumbai raise funds to help a parched Marathwada. According to news reports, in the run up to the temple incident, residents nearby had sought relief from loud fireworks as the explosions were damaging their houses. You have to reflect well on the Paravur tragedy, go past surface politics, to notice the mind-set. Two days after the incident, it was the turn of the organizers of the Thrissur Pooram festival, famous for its fireworks and caparisoned elephants, to argue for tradition on TV. The silver lining I saw was that three ordinary people chose to discuss the Paravur tragedy over lunch at Arul Jyothi. All three said festivals have reduced to commerce and competition fueled by money. The swiftness with which the tragedy became the stuff of serious discussion brought hope. I liked that. If I may add my bit – such elegance and simplicity is what visits the mind after a long run, a hike, a mountain climb, a swim, a canvas painted, a piece of music composed or a round of meditation. 1973. That year, a traveller from Thalassery in Kerala, reached a Manali, quieter, greener and less touristy than today. “ There was no direct bus from Delhi to Manali. There was a Youth Hostel you could stay at for one rupee a night or so. The now well known Pandoh Dam was yet to be completed,’’ K.P. Sudhakaran said. The way he spoke, his travels resting light on his shoulders, reminded me of someone else I knew in Kerala; a person who had seen a tonne of films. You wouldn’t know his knowledge of movies till you coaxed him to speak about it. The pre-Facebook generation, I told myself. Sudhakaran made Manali home, settling down there with his Italian wife Rosalba Lucioli. They met in the hill town. Sudhakaran used to trek a lot. In the hill tourism scene of that time, Jammu & Kashmir was perceived as “ commercial.’’ Himachal Pradesh was “ relaxed.’’ When Kashmir grew troubled, Sudhakaran’s hikes became more focussed on Himachal. In 1984-85, long before contemporary Manali and its plethora of adventure tour operators, Sudhakaran founded Panman Adventure Travels. Its main activity was organizing outdoor trips and camps for school students. Later, he and his wife started an Italian restaurant, Rose Garden. Panman Adventure Travels exists no more. But Rose Garden does. Located on the road to Vasisht, it is currently managed by Sudhakaran’s son Shiva Keshavan and his wife, Namita. That’s where I first met Sudhakaran. We had a small chat over coffee. Shiva, India’s best known luger, was away in Italy. Sudhakaran splits his time between Manali and a coffee estate in Wayanad, Kerala. A luge is a small one or two person-sled, on which one sleds supine (face up) and feet-first – that’s how Wikipedia describes it. Many of us, who checked out the sport after Shiva Keshavan grabbed our attention, would recall the specially made track on which races are held. Like all sports, born for fun, evolving organically and then shaped by the compulsions of modern sport and entertainment, the luge too wasn’t born for a track. While the earliest recorded sled races are said to have been in Norway, luge is traced to Switzerland; its history includes a hotel entrepreneur at whose resort, guests adapted sleds used by delivery boys, to speed down the lanes and alleys of the village for fun. Needless to say, there were collisions with pedestrians. The first organized meeting of the sport was in 1883 in Switzerland, the first world championship in the sport was in 1955 in Oslo, Norway. While the modern Olympic Games began in Athens in 1896, the first Winter Olympics – recognized so in retrospect – was at Chamonix in 1924. Luge made its Olympic debut at the 1964 Winter Olympics in Innsbruck, Austria. 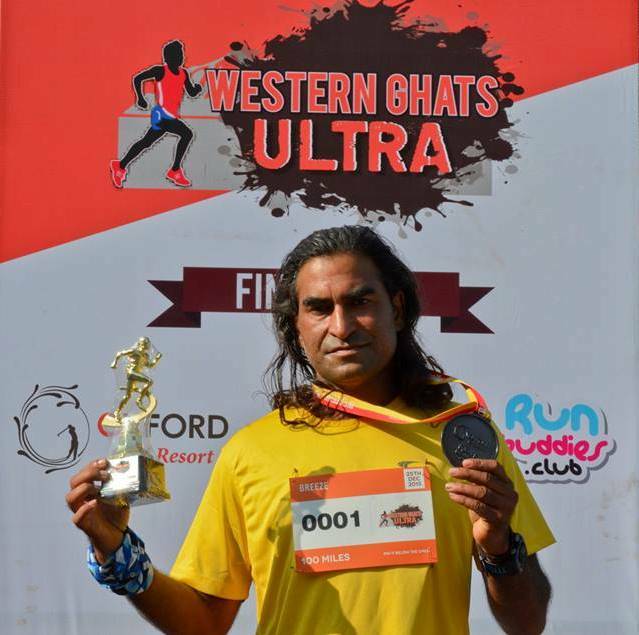 Early March 2016, months after meeting Sudhkaran in Manali and exchanging mails with a Shiva busy training and competing, I got a call. Father and son were flying from Kozhikode to Delhi via Mumbai. We met at the airport in Santa Cruz. Two men, four or five pieces of luggage, one with the Olympic rings on it – I will never forget that. Sudhakaran and Rosalba have two sons, Shiva and Devan, who is a licensed football coach for FIFA. Shiva was born in August 1981. “ Born and brought up in Vasisht,’’ the luger said. A year before Sudhakaran reached Manali, in February1972, the Winter Olympic Games was held for the first time at a venue outside Europe and North America – it was hosted by Sapporo, Japan. Luge in Sapporo was dominated by the East Germans. They bagged eight of the nine medals in the event. The planet’s Winter Olympics don’t fascinate the media as much as the bigger Summer Olympics. The 1970s were also years before television acquired national presence in India. The February snows of Sapporo were 6000 kilometres east of Manali; out of sight, out of mind. Located just south of the main Himalaya cutting diagonally across the crown of India, Manali receives good precipitation. Ladakh to the north may be higher and colder but it is drier. 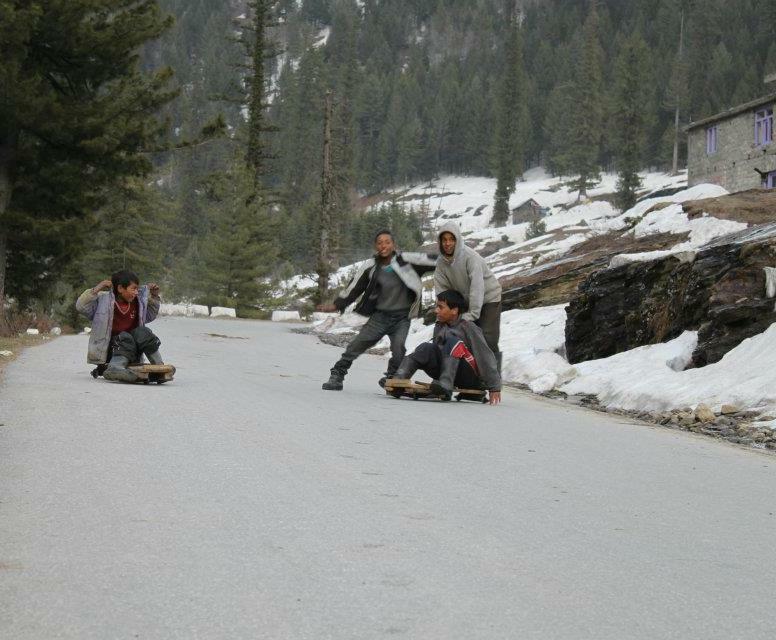 In winter, Manali and its nearby localities like Solang, receive good snowfall. Solang is known for skiing. 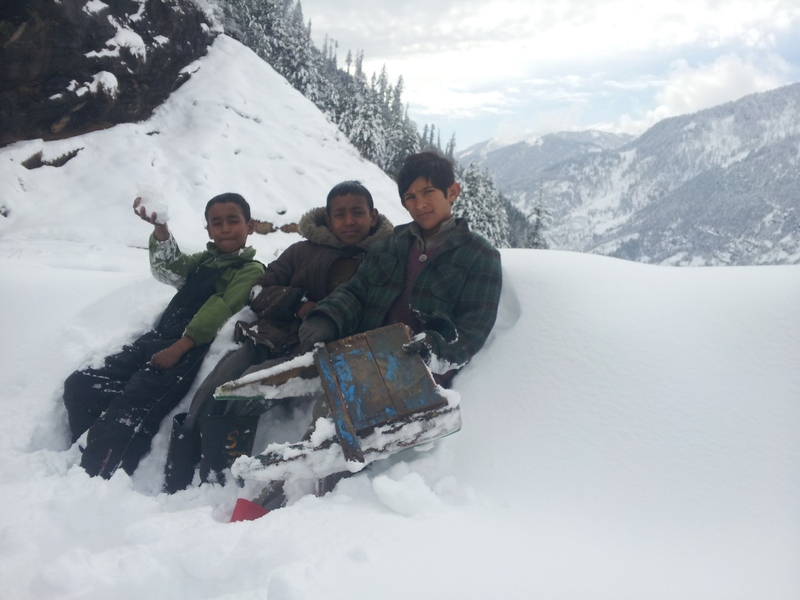 The children of Rosalba and Sudhakaran grew up on Manali’s mountain slopes, enjoying the snow. If you look carefully, like cricket played in alleys and hockey played with tin cans, the seed of all sports exist everywhere. With little access to modern skiing equipment, the Manali of Shiva’s childhood had its resident skiers; they took to winter’s snow with crude, homemade skis. “ You know the blade of the saw used to cut logs? 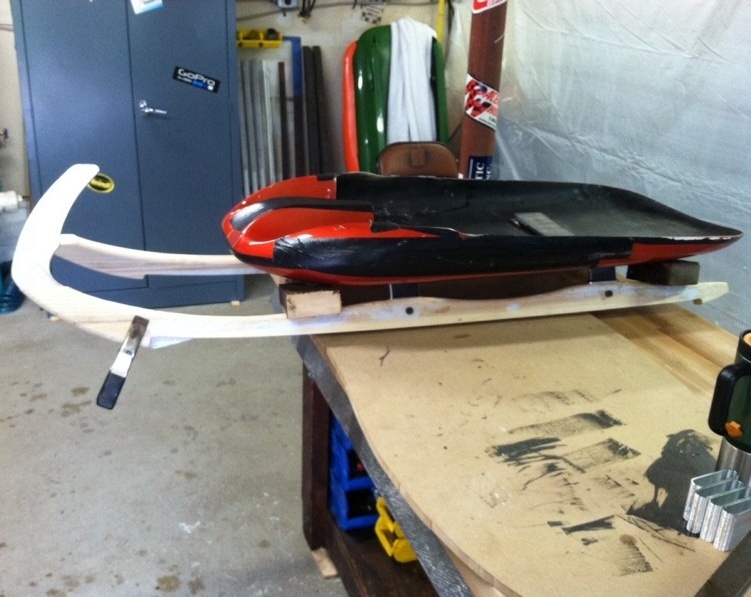 Strips of that would be attached to the bottom of wooden skis,’’ Sudhakaran said. Also around were improvised sleds. According to Sudhakaran, the family spent a lot of time in Solang. Shiva grew to be a decent skier. Unlike skiing, which stayed confined to winters, the sled metamorphosed to year round-life. Established in 1847, The Lawrence School at Sanawar in Kasauli is among India’s most prestigious boarding schools. This is where Shiva studied. He was very active in sports with presence in gymnastics; athletics, football, hockey and skiing. It was during his years at this school that he was dispatched for a` ` ski camp’’ at Panchkula. A skier being sent to a ski camp was quite understandable, except for one puzzling detail – Panchkula is in Haryana. You don’t get snow there. The camp was held by the International Luge Federation (FIL) and Shiva, already intrigued by Panchkula as choice of camp location, had no idea what luge was. At the camp was well known Austrian luger, Gunter Lemmerer. He had participated in two Winter Olympics, been a gold medallist in the European championships and thrice won (with fellow Austrian luger Reinhold Sulzbacher) the men’s doubles Luge World Cup. For the camp, Gunter had brought along a couple of modified sleds in which, the blades had been replaced with wheels. Shiva warmed up to what he saw. 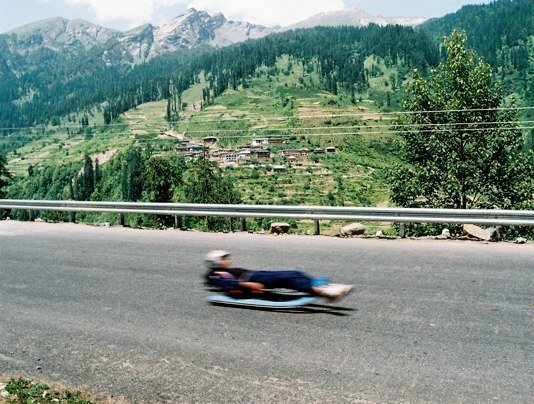 Luge was similar to what he had done on improvised sleds back in Manali. “ At this point, it was all fun with no future plan in mind,’’ Shiva said. However, as things turned out, he and another youngster were selected for further training in Austria. 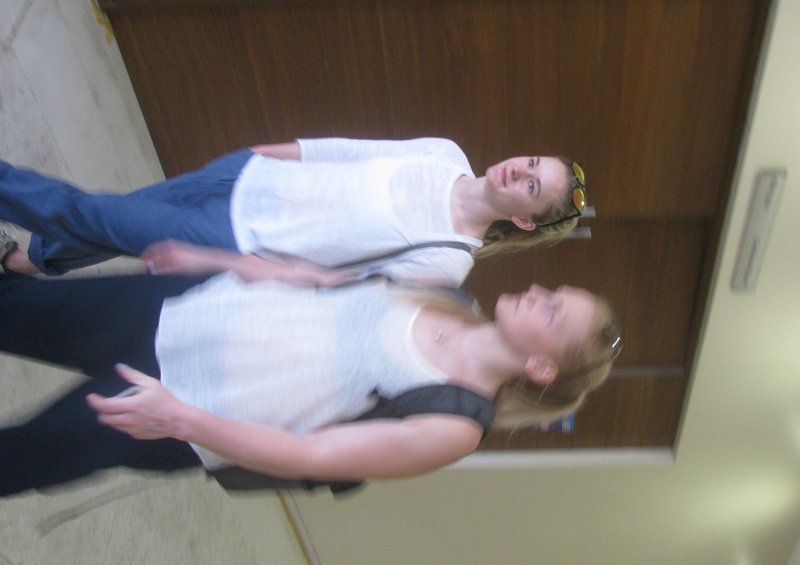 “ The whole skiing experience had been disappointing, so we wanted to try luge,’’ Sudhakaran said. In 1996, He and Rosalba sent Shiva to Austria. The transition from the sleds with wheels Shiva used at Panchkula, to a real luge on ice was significant. The luge on ice was much faster. Newcomers started their training on the less steep lower portions of the luge course and slowly worked their way up. Shiva’s Indian partner at luge (they were two selected from the Panchkula camp) suffered a crash. He needed medical attention and the duo had no insurance specifically for such mishaps. Eventually it had to be passed off as an accident that occurred while travelling. The following year, 1997, Shiva was back in Europe – Austria and Germany – training for a longer time. He was around international athletes. That gave him his first reference point in luge, an idea of where he stood in the sport with his competence, what he had to do to improve. “ They found it funny that an Indian family was trying to get a toehold in luge,’’ he said. But one thing worked – athletes help each other, they provide you tips, particularly when you are in that performance category, which poses no threat. He learnt. The international athletes let Shiva be a `forerunner’ opening the track for them at the World Cup in Igls near Innsbruck. He did so and zoomed the whole distance down the course. To his surprise and likely everyone else’s, the timing he returned was good enough to participate in the upcoming Winter Olympics. Until 1998, there was no formal selection to participate in the Winter Olympics. It was up to each country to select athletes and send them. “ People started misusing this. I was the first Indian to reach the Winter Olympics through a formal qualifying system,’’ Shiva said. This process wasn’t easy. Although his timing at Igls was good, the eligibility process required Shiva to qualify for five of nine World Cup competitions held every year. 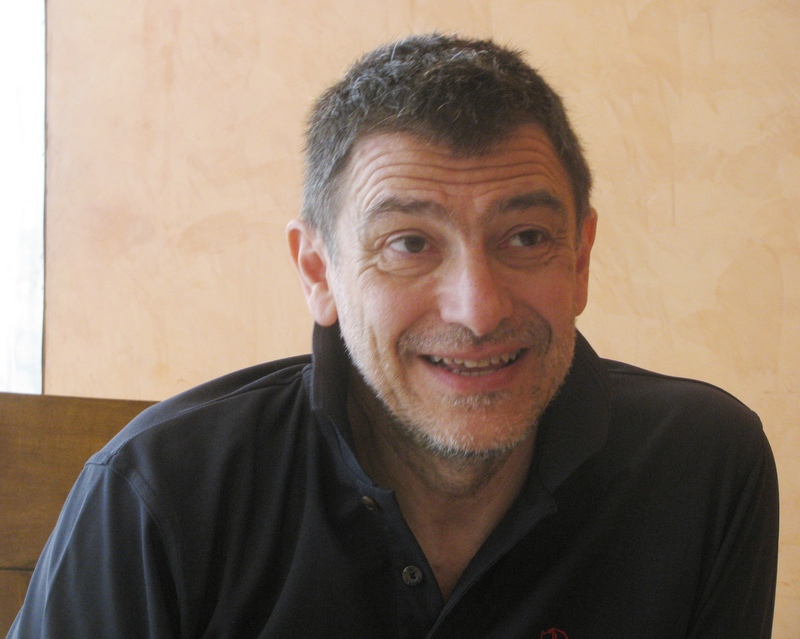 Gunter Lemmerer advised Shiva to return to India and start training for the World Cup events. Somehow his parents came up with the money for the exercise. At the first of these World Cups in Innsbruck, he raced with a broken foot. This was followed by two World Cups in Germany, one in Norway and one in Japan. “ Incredibly at each of these races, I didn’t make a mistake. I qualified at all five,’’ Shiva said. The 1998 Winter Olympics were scheduled to be held in Nagano, Japan, the second time the Winter Olympics would be held in Asia. Sudhakaran had reached Manali the year after the first Winter Olympics in Asia, in Sapporo, Japan. In the time since, he had married, raised a family and now his son was heading for nothing less than the Winter Olympics. According to Wikipedia, racing sleds for luge singles weigh between 21-25 kilos; in the case of doubles, between 25-30 kilos. Lugers can reach speeds of up to 140 kilometres per hour. The highest speed reported so far (as of March 2016) was 154 kilometres per hour set by Austria’s Manuel Pfister in 2010. In videos, a luger passing by resembles a streak. The luge is designed for speed. A luge sled rides on a pair of steel blades made such that the craft slides fast over ice. The sled has no saddle. You lay down flat on the sled and slide down the course feet first, which is the most aerodynamic position you can have. In training, lugers are known to use wind tunnels to figure out the best aerodynamics they can have. But because you are supine and going feet first, you are challenged to see clearly where you are headed. The runners (blades) underneath the sled curve up in front and touch the athlete’s legs as he lay supine. Steering is done by pushing on the runners with your legs and flexing the sled with one’s shoulders. The luger is clad in a special suit designed to make him aerodynamic. A fast object like the luge also needs stability. Strength and weight therefore matter. A light luger may add artificial weight. When starting off at the top of a course, the luger uses his arms to propel forward. The athlete must be powerful around the shoulders and arms. Lying supine on a platform lacking saddle and controlling the luge requires excellent core strength. It shows in Shiva – he is over six feet tall and well built without being heavy. You get a sense of person reverse engineered from the needs of life on sled. With so much emphasis on speed and aerodynamics, luge is a precisely timed sport; in fact among sports, one of the most precisely timed. Amazingly, amid this obsession with speed and despite its minimalist flying projectile-character, the luge does not have a brake. Marry all this to the high speed the luge is capable of. It is a risky sport. 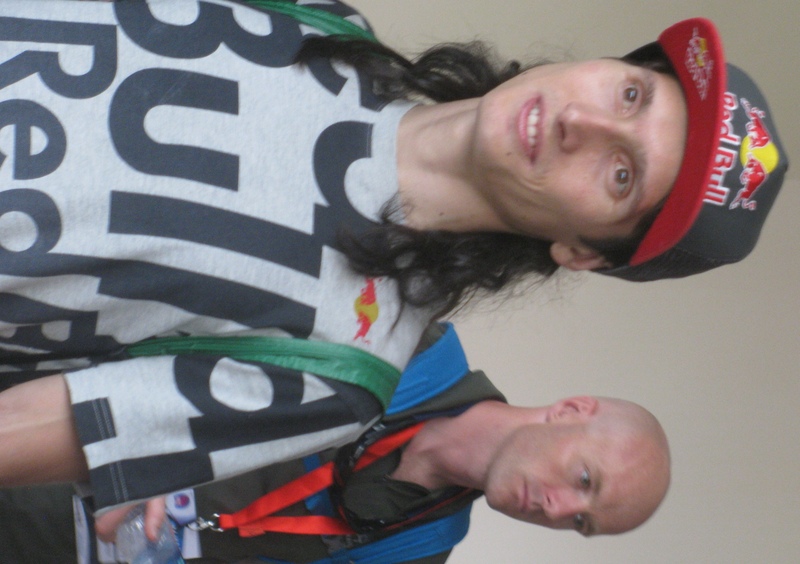 The most recent high profile accident was Georgian luger Nodar Kumaritashvili’s demise in a crash during a practice run at the 2010 Winter Olympics. Rosalba accompanied Shiva on his tours just once. She couldn’t take it after that. Sudhakaran has watched Shiva in action, more. 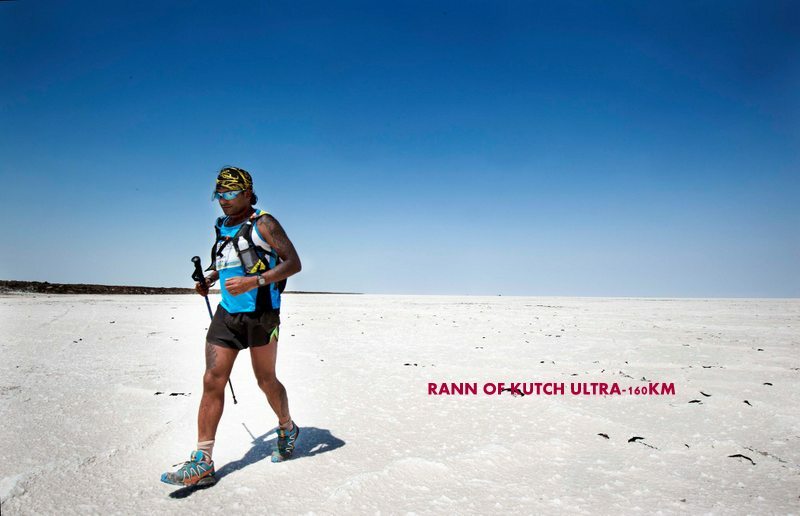 “ Every time he zips down that course, my heart is in my mouth,’’ Sudhakaran said. With no means to afford a coach for his son, Sudhakaran, who had watched Shiva’s journey from the sidelines, decided to accompany him as his coach, to Nagano. The father and son team from India were the first people to reach the Olympic village. The Indian authorities hadn’t yet sent in his documents. It caused confusion over whether they can be allowed in or not. The Japanese were courteous and hospitable. After some discussions, they let them in. 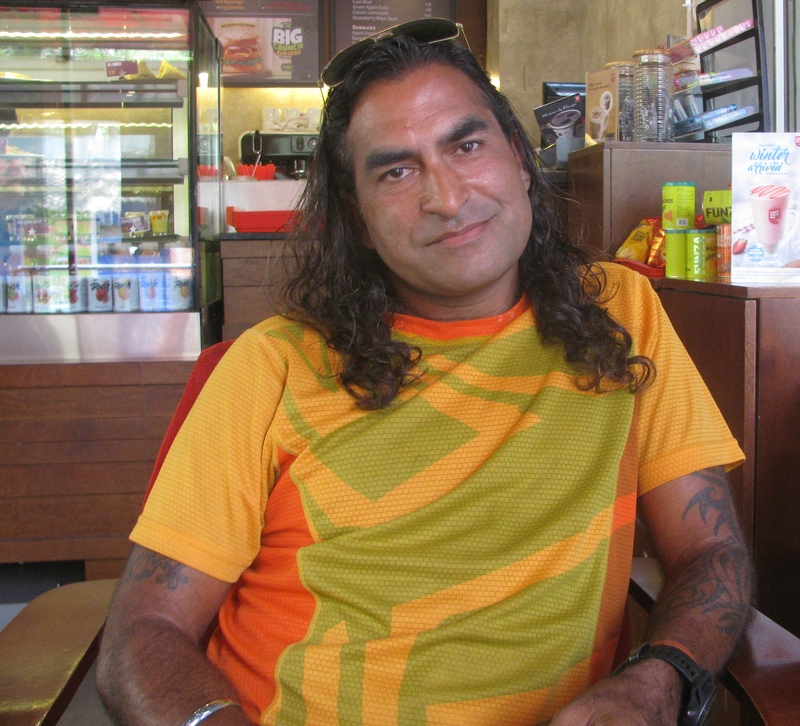 Although India hadn’t yet sent in Shiva’s papers, the organizers knew of him. There was a reason – he was 16 years old, the youngest athlete to qualify for luge in the history of the Winter Olympics. On February 3, 1998, Jere Longman’s article appeared in The New York Times headlined, ` Olympics: Nagano 1998; Teenage Luger Carries All of India.’ Longman wrote in the introduction: Of all the places that Sudhakaran Palankandy expected to be next Saturday morning, none of them included walking with his son in the opening ceremony at the 1998 Winter Olympics. “ We never thought luge would start in India,’’ the innkeeper said. As a mode of transportation for India’s 896 million people, sliding is not high on the list. But 16 year-old Shiva Keshavan Palankandy has improbably qualified as the only athlete to represent India at the Nagano Games. On Saturday, he will carry the national flag in the opening ceremony, while his father walks behind him as the team leader. Nagano is where the Shiva Keshavan story took off. For his age and experience, he reckons he did well. “ Obviously I wanted to do better,’’ he said. But listening to him and Sudhakaran, I felt, it was at Nagano that world and sport reached out to support them The New York Times article mentions that Shiva received some financial assistance from FIL to participate at Nagano. His travel cost was borne by Rosalba and Sudhakaran. 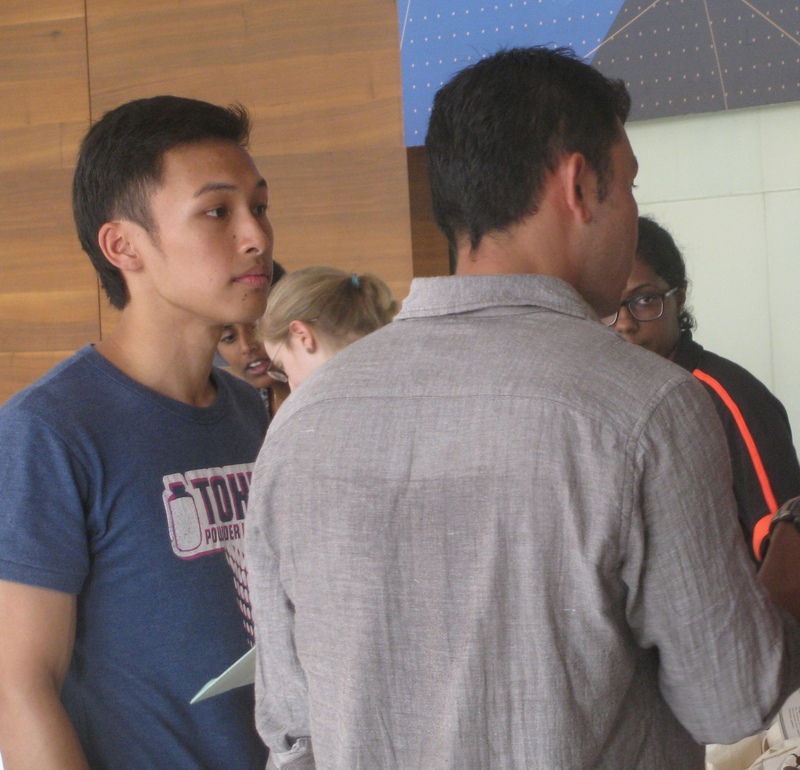 He found fellow athletes being helpful towards him, providing tips on how to improve at luge. “ The sport is dangerous. So people don’t hold back on advice,’’ Shiva said. Perhaps the most interesting thing was that he had no luge. 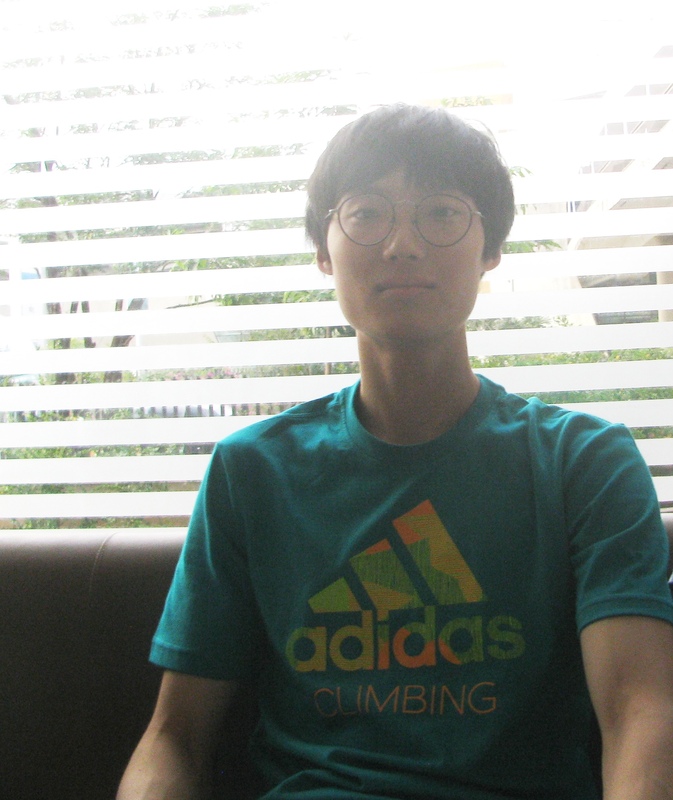 At his first World Cup, the Korean team loaned him a luge they used for practice. At other events including Nagano, the story was similar – Shiva’s luge was borrowed. Incredibly, it would be another 12 years before India’s Winter Olympics athlete, the youngest luger in the history of the Games to qualify for the sport, would acquire his own luge. “ I bought my first luge in 2010,’’ Shiva said. 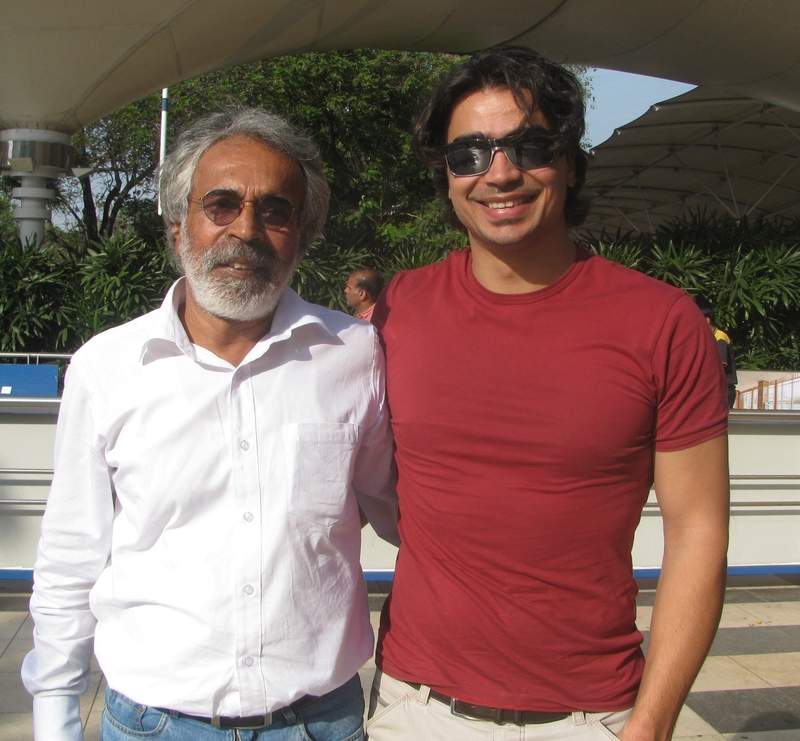 From 1998 till the time of writing this article, Shiva Keshavan had participated in five Winter Olympics. In 2005 and 2008, he secured bronze at the Asian Luge Cup, in 2009 he secured silver and in 2011 and 2012, he secured gold. In 2011, he set a new Asian speed record in luge, racing down the course at 134.3 kilometres per hour. The fastest he has ever been is 149.9 kilometres per hour. 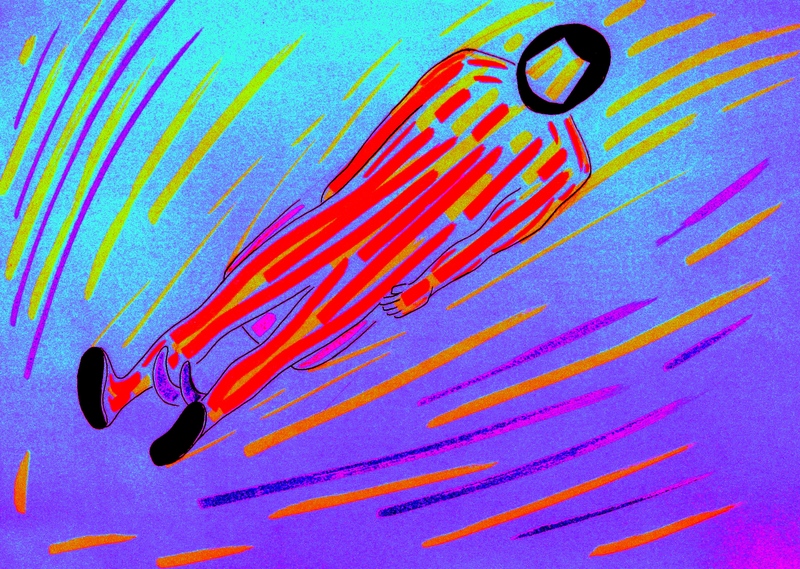 I asked him what he felt lying supine on a luge, moving super fast down an ice laden course. “ The run lasts less than a minute but for me on the luge, it is like never ending. That’s one of the incredible things about this sport – it feels like you are stretching time,’’ Shiva said. Within that sense of stretched time, the luger is alert to every small detail for steering the luge is a matter of tiny body movements capable of great impact on projectile’s fate. “ Ice is a sensitive surface that exaggerates response. Any small twitch of your body and the sled responds. The first challenge in luge is to handle things very calmly despite the obvious dangers in that stretched period of time. You have to discipline your mind. It happens on its own on the sled. Your body knows it is in danger,’’ he said. And what does he think about the luge not having any brakes? “ I never really thought of it that way. It kind of unlocks your fear. It reduces options and puts the focus on natural talent. There is no room for slowing down or being cautious. You have to approach it 100 per cent.’’ Competitions happen on well established courses. 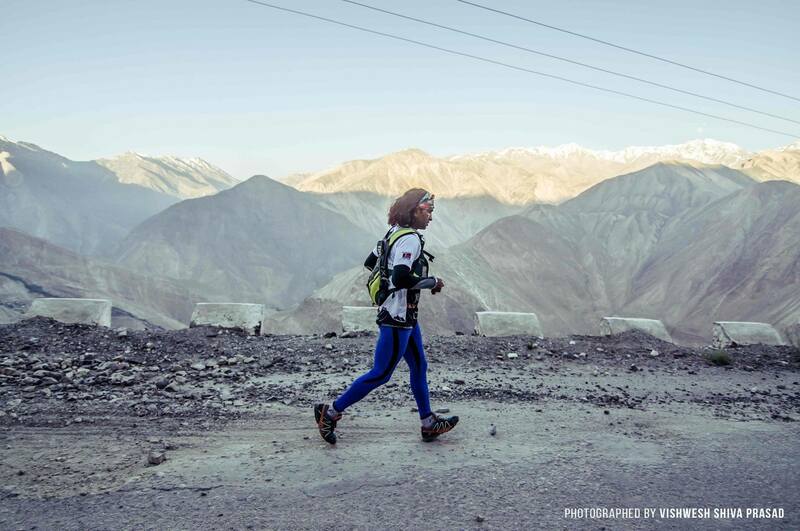 As a competitive athlete, Shiva does a lot of visualization of the course while preparing for an event. He has been down all the courses used at luge World Cups, except the new track coming up in South Korea for the next Winter Olympics. However, notwithstanding repeated visits and the benefits of visualization, there are subtle variations in atmospheric and ice conditions that act as variables to tackle on a given competition day. At Nagano, Shiva was one of the youngest athletes around. Now 34 years old, he is part of the older lot but still having room to improve for there are winners in luge who are in their forties. His struggle so far has been getting his act together, for luge is not just about excellence by luger, you need a good coach, support team and a good luge. 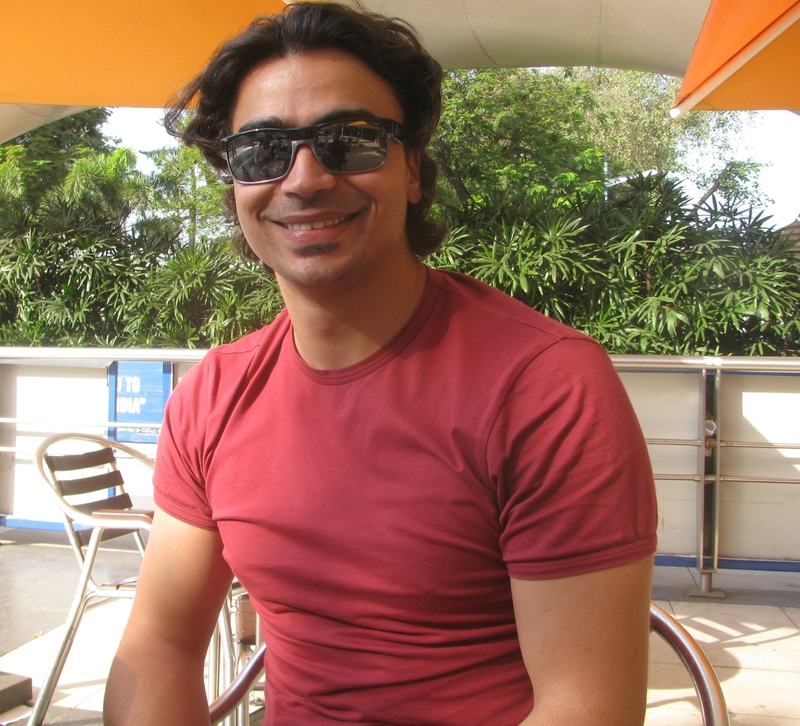 In his early years at competitions, Team Shiva Keshavan used to be a combination of self, parents and borrowed luge. Although that has changed, it is still a far cry from how other teams turn up. “ They come with cutting edge sleds, sled technicians, five to six coaches, physiotherapist and biomechanics specialists,’’ Shiva said. He has been lucky enough to not need a physiotherapist so far. But the lack of a good coach hurts. “ I have never been able to hire a good coach. I never had the money for it,’’ he said. Another challenge was the sled, the luge itself. For years he reported to competitions without his own luge, competing eventually with a sled somebody else provided. That may have challenged him personally to improve his being and techniques but the point is – the more a luger improves, the more he deserves a fine luge. His first sleds were all “ hand-me-down’’ specimens. In 2010, he got his own luge built in Albertville, France. It was based on moulds taken from a model he had used with some innovations thrown in. “ It was very simple but didn’t have adequate symmetry. I wasted many years trying to innovate wrongly. The idea was good but I wasn’t doing it the right way,’’ Shiva said. To understand what luge is to top notch luger, we should imagine Formula One racing. There are technical parameters to comply with regarding one’s ride and room for innovation. Shiva did try working with Indian institutions; at one point he spoke to the Indian Institute of Technology (IIT) Delhi on designing his luge. It didn’t work. The reasons were not articulated but it can be gauged: designing a fine luge entails convergence of engineering, knowledge of materials and ability to think back from the sport. It is hard finding this convergent fascination in India. 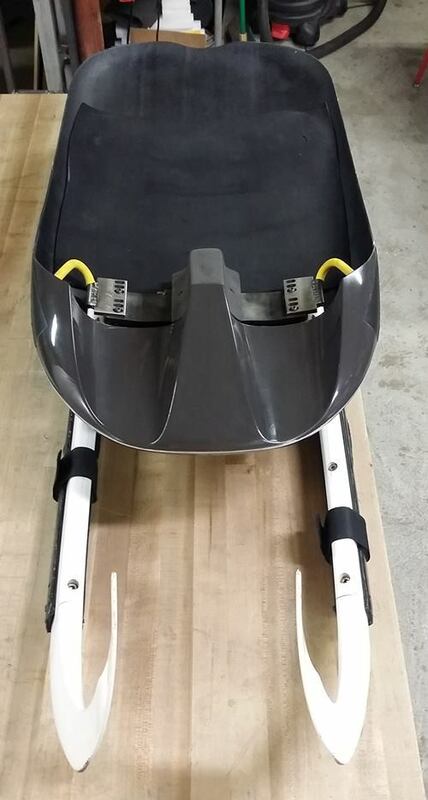 If you dwell on it, a luge for Shiva is a fine chance to showcase design, knowledge of materials, engineering ability and manufacturing skill in an uncluttered product for the sled is a simple object to behold. Made, it will be used by a luger who hasn’t hesitated to push his limits. Somehow, this opportunity hasn’t captivated India’s designing and engineering minds. Eventually in 2015, Shiva began working with Duncan Kennedy, the retired American luger who had competed in three Winter Olympics, placed second twice in the Luge World Cup and was the first American to win a World Cup event. Duncan builds sleds; he has a workshop where he does it. 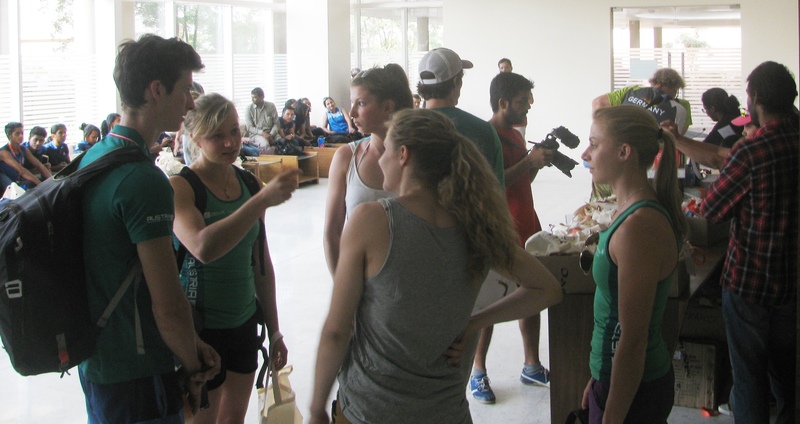 They – Shiva, Duncan and the New York based-Clarkson University (essaying the role Shiva once expected from IIT Delhi) – started working together. “ The luge I had for the last season, is the first real Indian design luge,’’ Shiva said. But his struggles are not over. He would like to retain Duncan as his coach. That requires getting a good sponsor. In all these years Shiva hasn’t enjoyed a good, reliable long term sponsorship contract with any Indian company. “ I get short term support. What I want is meaningful, long term support,’’ he said. As for sports bodies in India, he said clearly, “ in almost 20 years of competing, I haven’t got any monetary support from the domestic sports associations.’’ He received help from overseas bodies. The International Olympic Committee, for example, provided Shiva IOC Solidarity Scholarships and helped him get started in the sport. But the funds crunch can be quite impactful; over 2006-2008 it was so bad that Shiva wondered whether he would be able to continue. In that phase he married Namita who had studied management; she became his sports manager. Shiva also credits renowned shooter and Olympic gold medallist Abhinav Bindra for helping him continue in luge. What amazes in this hunt for resources in an India loving its story of corporate success, is that Shiva’s annual budget is a mere one crore rupees (approx $ 150,000 at the exchange rate of one dollar = 66.84 rupees; March 27, 2016). The day after I met him, he had a sponsorship deal being finalized. “ If I get two more deals of the same sort, I am set for this year,’’ he said. He also had a couple of crowd funding campaigns going on. It had been a long time chatting. A few quick photos and I watched father and son rush off to catch their flight to Delhi.